In this concluding edition of our review of McDurmon’s new book on slavery, I consider crucial oversights of relevant material from McDurmon’s portrayal of American history regarding race relations between whites and blacks. In addition to the many problems with McDurmon’s presentation of the history of American slavery, there is also a substantial issue with omissions. To start, McDurmon omits any reference to black slaveowners. Black slaveowners persisted throughout the antebellum period and were by no means an anomaly. In fact the transition from indentured servitude to permanent enslavement was facilitated by a free black named Anthony Johnson of Maryland, who filed a suit in court to have his indentured servant John Casor declared his servant for life. McDurmon’s presentation follows the mainstream narrative that only blacks have been slaves. Entirely omitted from McDurmon’s discussion is any discussion of white slaves. The enslavement of whites was not confined to Muslim Barbary pirates, but was practiced by whites towards other whites in Britain and America. The reality of slavery is that harsh conditions were endured by many people in even the recent past, and this was by no means confined to blacks. Michael Hoffmann details the history of white slavery in his excellent book, They Were White and They Were Slaves, and it is noteworthy that many considered the conditions of black Southern slaves to be superior to white slaves during the same time period. [O]ne of the most notable slave revolts broke out in southeastern Virginia in the fall of the same year [August 1831]. No sooner had southerners feared that the spread of radical Garrisonian abolition would stoke slave unrest, than did the charismatic slave preacher Nat Turner lead one of the largest, if not the largest, slave rebellions in American history, killing about 60 whites in the space of two days. Militias organized and put down the rebellion, but overzealous manhunts continued for several days. Even after they had captured all the conspirators, white vigilantes rounded up countless alleged rebels, and in apparent racial revenge decapitated them and placed their heads on poles. McDurmon’s account of Nat Turner’s massacre betrays what can only reasonably be described as anti-white hatred. McDurmon casually describes Turner as a “charismatic slave preacher.” McDurmon’s account would have his readers believe that Nat Turner led an uprising that simply killed “about 60 whites in the space of two days.” Completely missing from this account is the fact that among these “60 whites” were numerous women and children. Many might surmise that Turner was motivated to this indiscriminate slaughter based upon personal experiences of harsh treatment, but this was not the case. McDurmon’s omission of these essential details decontextualizes the white response throughout the South. McDurmon misleads his readers into believing that the white reaction was hysterical and paranoid, when the reality is that this was largely a reasonable response to a terrible atrocity. What of the unbridled violence that McDurmon reports? McDurmon alleges that “about 120 blacks suffered this torture and execution, on top of over 50 formally executed by the state.” McDurmon’s main sources for this claim are “Children of Darkness” by Stephen Oates and “The Aftermath of Nat Turner’s Insurrection” by John W. Cromwell.7 Oates’s article was published relatively recently (1973) and is lacking in citations of source material. Cromwell’s article is older (1920), but the source (which McDurmon omits) for torture and rampant violence is only said to be “[b]ased on statements made to the author by contemporaries of Nat Turner.” Needless to say, this is pretty weak. Furthermore, McDurmon inaccurately states that “over 50” blacks were “formally executed by the state” for their participation in Turner’s rebellion. The truth is that 53 black men were arrested, but of those arrested 20 were convicted and executed, 12 were removed from the state, and 21 were acquitted.9 This hardly suggests the unmitigated bloodlust that McDurmon imagines. These oversights on McDurmon’s part entirely misrepresent the response of Southern states. 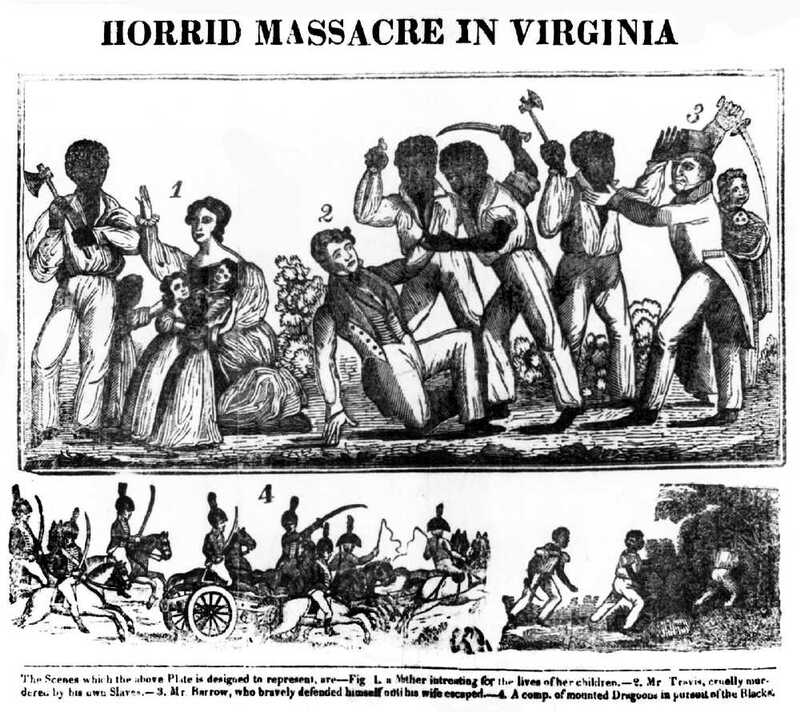 The efforts taken by the Southern states, such as forbidding the teaching of reading and writing to slaves, may seem overly severe or harsh by modern standards, but these were passed in order to prevent horrors like the Nat Turner insurrection or the massacre of whites in Haiti from happening again. McDurmon’s silence regarding these crucial facts is dishonest and inexcusable. The topic of slavery is not merely a historical question, but has great relevance for us today. Our perceptions of present realities are influenced and ultimately determined by our perception of the past. McDurmon’s work is essentially a rehash of contemporary Marxist scholarship. The only thing that makes McDurmon’s account unique is that unlike the Marxist historians and academics he repeatedly cites, McDurmon claims to be defending traditional Christian ethics as taught by God’s Law. None of these same academics would take such a claim seriously because it is absurd. The Bible allows for and regulates the institution of slavery. That much is clear, and McDurmon’s silence on virtually all of the relevant Bible verses speaks volumes. Those who promote a false narrative about the harshness of American slavery are all too eager to blame the Christian faith. McDurmon has repeatedly promoted this book by arguing that it is needed now more than ever. The truth is that the perspective that runs throughout the entire book is in lockstep with the sociology departments of every college and university, as well as the entertainment industry. This book is simply one more voice in our modern anti-white and anti-Christian echo chamber. The Jacobins won the war and the religion of equality has carried the day well into the twenty-first century. Today we are reaping the bitter fruits of this anti-Christian ideology. McDurmon’s book can serve only to further the narrative that Christendom and white Christians have always been cruel and oppressive. It will empower secularists who wish to deride Christian ethics and continue to stoke the flames of black resentment against whites. I only wish Joel could see just how much harm his book has the potential to do. Our only hope is that white Christians will one day, by the grace of God, be awoken from our long stupor so that our children and grandchildren may be delivered from the disaster that these leftist lies have created. Fortunately, truth will ultimately triumph over falsehood, and McDurmon and his Jacobin disciples will discover that they have been on the wrong side of history all along.